It's that time again...First Friday and the Chinatown Artwalk is on... Please stop in and taste over a dozen different great wines. As always, HASR logo glasses will be on sale for $5. Retail Wine Store specializing in California Wines that are Highly Allocated and Exclusive. Also proud owners of 15 one-of-a-kind Premiere Napa Valley Wines in the World. HASR stands for Highly Allocated Spoiled Rotten. It all started when Mike and Terry got together and Terry had just started to drink wines. She started a small collection from a trip to Napa and Sonoma, which were available only at the winery. Mike had already been drinking wine for 18 years with the expertise of Master Sommelier Chuck Furuya and was already a connoisseur. Terry boasted to Mike about her proud collection and was very disappointed that the man in her life was laughing at her pride and joy. Mike educated Terry by telling her that there were many great wines out there and that they were very allocated and hard to get. Terry not knowing that the Wine Industry was a very tough one asked Mike to name any wine he was interested in and told him that she could get anything being that her bar was one of the hottest in the state and there was nothing standing in her way. Mike handed her a list of wines like Turley, Araujo, Peter Michael and so on. Terry contacted Chambers and Chambers Wine Merchants and put in an order thinking she would get them the next day. The receptionist explained to Terry that it wasnt that simple and that she needed to be assigned a sales rep. Steve Lorne, was assigned to be their sales rep and laughed at Terry when she mentioned the names of the wines that she wanted to get. This made Terry a little furious and Steve then made an appointment to meet Terry the next day because he loved her enthusiasm. Steve had come by earlier than expected and Terry missed him. He had left his business card and also the card of Jack Chambers who was the owner of the company. Terry being the person she is quickly acted on it and called Steve to bring Jack back to meet with her. Terry had just read about Jack Chambers in the Wine Spectator and knew she had to meet the legendary man. That was the start of a very long and close relationship with Chambers and Chambers Wine Merchants and a very educational one at that. Terry was amazed by the industry and started to learn very quickly about the business. The name HASR was thought of when another sales rep named JoAnn Chisholm took over the Paul & Terrys Place account and told Terry that she was Spoiled Rotten because she always got the Highly Allocated wines. Terry and JoAnn joked around about a club called Highly Allocated Spoiled Rotten. It was then it became a reality and the Wine Club at Paul & Terrys Place was formed with a bunch of friends who were eager to learn about the wines that were available to them. That was in 1998 and the wine club members were quickly spoiled as well. After years of trips to Napa and Sonoma with friends and club members, Terry felt that she wanted to be more involved in the Wine Business and in 2003, started to think about opening a Fine Wine store. After a Premiere Napa Valley Auction trip in February of 2005, Terry thought about starting a Wine Brokerage Company because many new wineries were looking for representation in Hawaii. 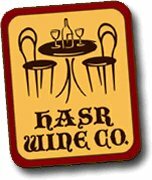 Terry contacted JoAnn to discuss the possibilities of Distributorship and Brokerage over lunch and came across the location that is now HASR Wine Co. When Terry saw this place, it was a sign and she knew that this is what she wanted to do and this was the perfect location for a Quaint Napa Valley Wine store. Luck would have it that the owner of the building happened to be there and Terry gave him the spill of her passion for the wine business and that this would be the perfect opportunity to fulfill her dream. The owner gave Terry the contact number of the person handling the rental and the work began. Terry had no idea that this project would be like no other. She thought that she could just get a contractor to put in the walls, some lights and would be on her way. Wrong! Rude awakening�she found out that she needed to get an architect, electrical engineer, mechanical engineer, air conditioning and so the list goes on. The building permit was another thing. Although there were many obstacles in her way, things finally began to work in her favor and her dream of opening a fine wine store was realized. With the help of lot of her friends, Her Quaint Napa Valley Wine Store with a feel of Tuscany had become a reality. Terry and Mike have a great passion for wines and the industry. They have made a lot of friends in the Wine Industry as well as Winery Owners and Winemakers. Terry and Mike love to meet people and introduce them to exciting new wines that arent readily available to the general public. There are over a 1,000 wines to choose from. Their concept is to constantly bring in new wines. Someday, Terry wants their son Nicklaus to become a Famous Winemaker and perhaps own a Winery? Nothing is impossible if you have a Dream. Please stop by and meet us. Wed love to meet you.